The supplies are minimal: bulletins, a cross. The setting is familiar: the nave of the church. The participants are the key: children and their parents. 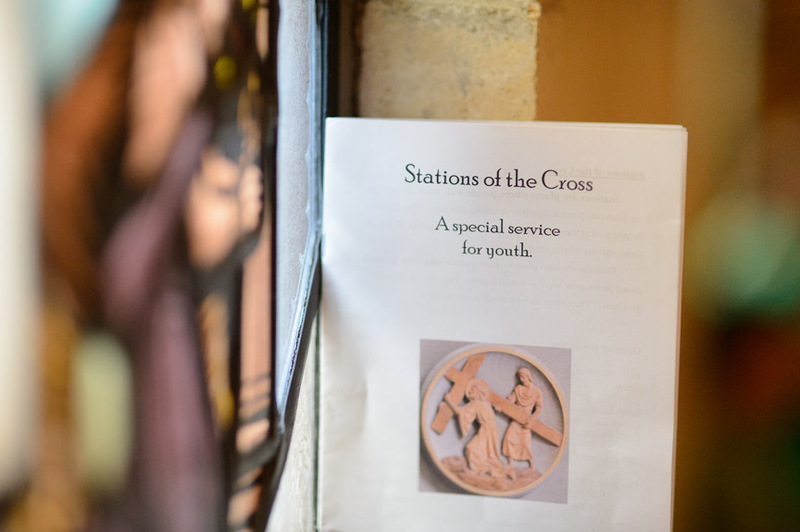 They have been specifically invited to a service with a straightforward title: Children’s Stations of the Cross. At St. Mary’s Episcopal Church in Stuart, Florida I had the honor of leading Children’s Stations of the Cross, which was initiated by Kelly Garner, Children’s Ministry Director. She has been offering this event for a number of years, and it has become part of the fabric of the community. Children and parents gather in the nave and sit in the pews. A priest or lay leader gives a welcome, explanation, and the opening prayer from the bulletin. The entire group then stands and proceeds to the first station. At St. Mary’s we had permanent wooden stations hung on the walls. At other churches, temporary stations are often used. If you are thinking, “I can’t add one more thing to Holy Week,” then we agree! At St. Mary’s this service was always scheduled around the middle or end of Lent. Sunday evening worked particularly well for us, and after the service we went to the parish hall for a family friendly pot luck supper. There are many available, including standard ‘adult’ liturgies which can be adapted. You can purchase children’s Stations of the Cross books online, such as this book by Julianne M. Will. Or check out online versions such Children’s Station from Creighton. Of course, you don’t have to use a printed liturgy. I can imagine this service starting with the Lord’s Prayer, and then moving to each station where the leader will name the station and explain it in ways that children can understand or connect with. This does take some practice and forethought on the part of the leader! 1. Look how Jesus experienced pain/hurting, just like you. 2. Look at how Jesus loves. On the cross, Jesus shows how much he loves us. The Stations of the Cross is not just an exercise; it is a theological lesson. As a leader of this service, you have the chance to pass on central Christian teaching to children and adults. As a result, their Easter Sunday will be brighter. Their connection with Jesus will be tighter. Their entire worldview will begin to take shape around God’s extraordinary acts of love. A final thought: remember to tell children the following, which comes all the way from Saint Augustine: If you had been the only person who ever lived, Jesus still would have died and rose again, just for you. He loves you that much. The Rev. 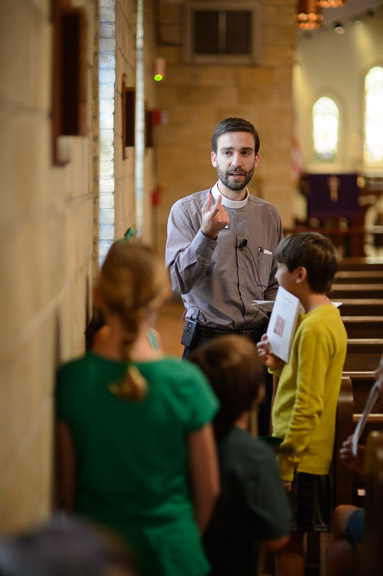 Matthew Kozlowski is an Episcopal Priest living and working in Alexandria, VA. He manages Building Faith along with the team at the Center for the Ministry of Teaching at Virginia Seminary. Matthew shares life with his wife Danielle and two young daughters.